Giving is better than receiving. Here are some horse treat ideas for Valentine’s Day. These suggestions are healthy so you can use them for clicker training too. Cut a V-shaped notch along the length of the carrot with a pairing knife or the top of your peeler. 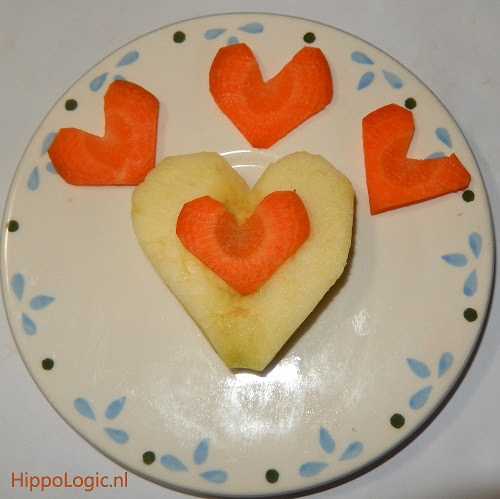 Then slice the carrot into hearts. Adjust the shape a bit more if you like. Cut the apple into slices. 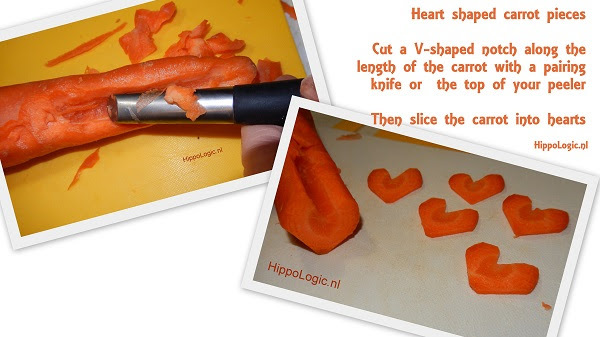 Use a cookie cutter or a pairing knife to make heart shapes. If you want to make something really special, make your own horse treats. If you want to get to know me or have questions about clicker training your horse, book your free Discovery Call. Book your free 30 minute call today. 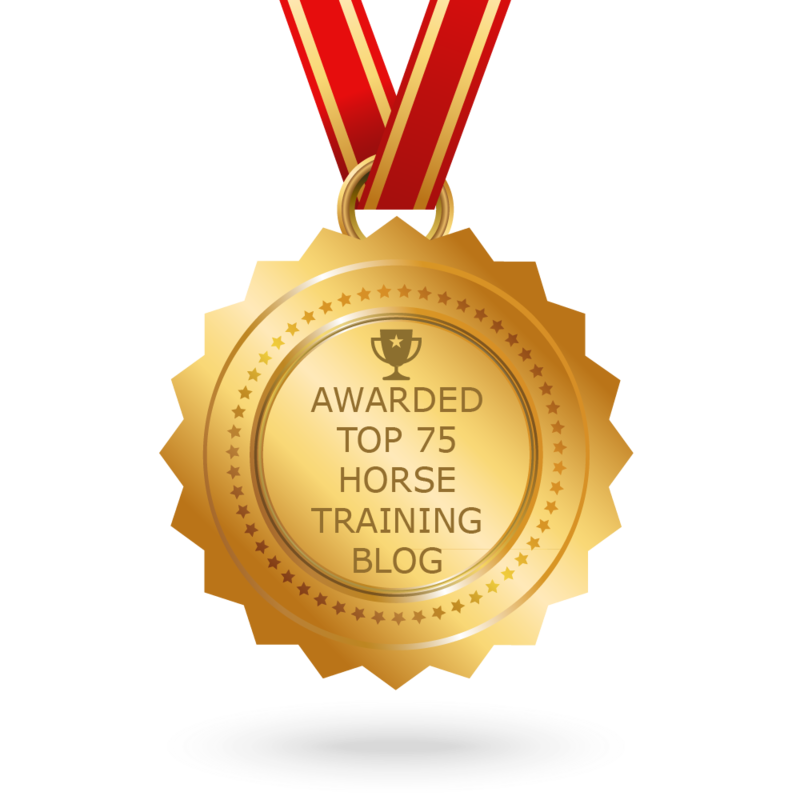 Join HippoLogic’s online training program for clicker trainers the Ultimate Horse Training Formula. This program contains all tools and techniques professional trainers use. After this course you understand what you have to do before, during and after you are training a behaviour. You’ll improve your horse training skills and you’ll develop skills trainers need in order to be successful.